In this work, we report on the mixed bipolar and unipolar resistive switching behavior in ZnO nanowires observed through conductive atomic force microscopy measurements on an individual nanowire. Both bipolar and unipolar resistive switching in ZnO nanowires are size-independent, suggesting that the switching is due to conductive filaments with dimensions much smaller than the cross-section of the nanowire. During bipolar resistive switching, both the low resistance and the high resistance states exhibit ohmic conduction at low voltage, consistent with the filament-based model. During unipolar switching, the low-resistance state is a mix of defect-free ohmic conduction and defect-dominated space-charge-limited conduction, which may not be observed in larger devices. Defects also influence transport in the high resistance state, which exhibits trap-controlled space-charge-limited conduction. Our results clearly demonstrate the key role of defects on the resistive switching behavior of ZnO-nanowires, an important consideration for optimizing the material for nonvolatile memory applications. The authors wish to thank the Development and Promotion of Science and Technology Talents Project Scholarship Program, Thailand, Center for Scientific and Technological Equipment (CSTE), Suranaree University of Technology (SUT), and Dr. Michael F. Smith. This project is supported by the Thailand Research Fund (TRF) http://www.trf.or.th/ (Contract No. TRG5880060), Suranaree University of Technology (SUT) www.sut.ac.th, and (Contract Nos. SUT1-105-59-12-11 and SUT1-105-58-12-22), NANOTEC-SUT Center of Excellence on Advanced Functional Nanomaterials, and the Office of the Higher Education Commission under the National Research University (NRU) project. 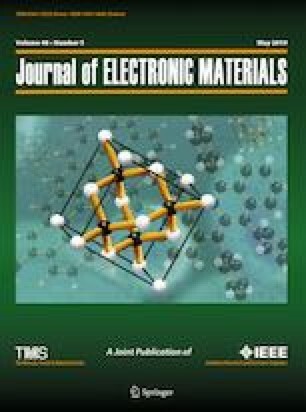 This work was partially supported by Research and Development of White Light Emitting Diode based on Zinc Oxide Optoelectronics Material; Phase-1: Method of ZnO- Substrate Fabrication Project (P1450015) from the National Science and Technology Development Agency, Thailand.